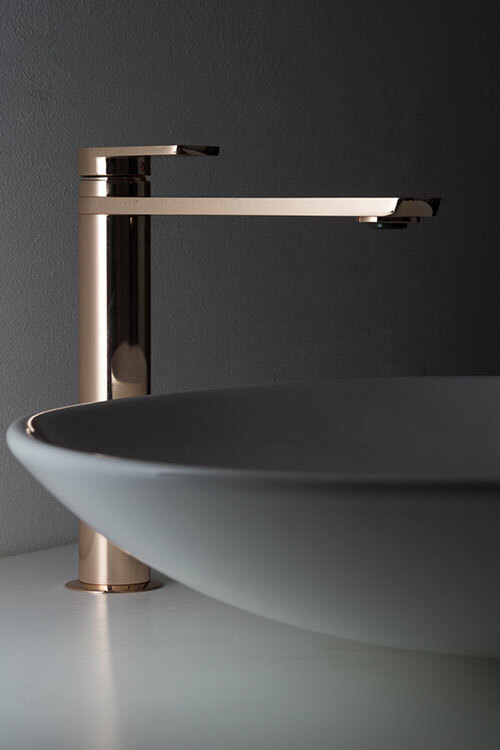 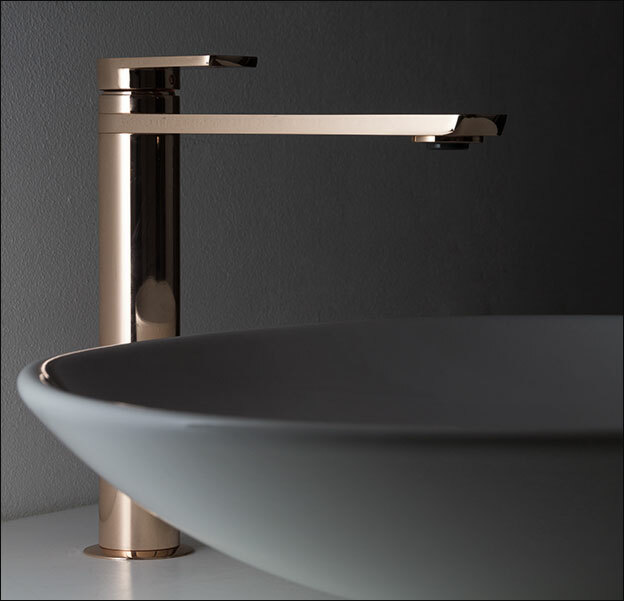 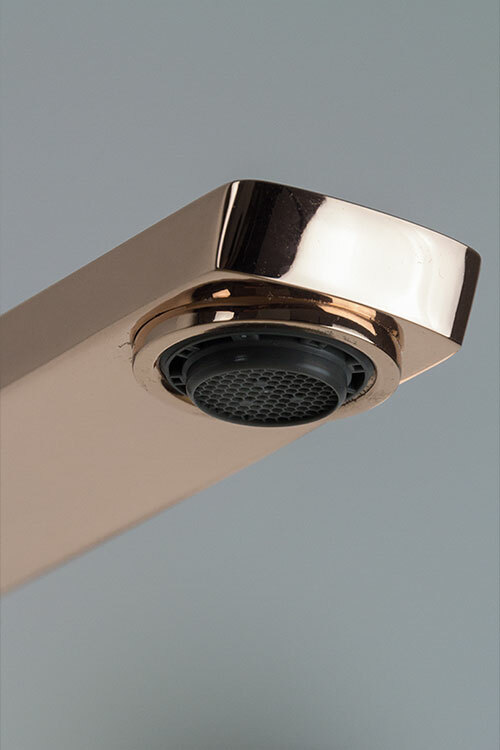 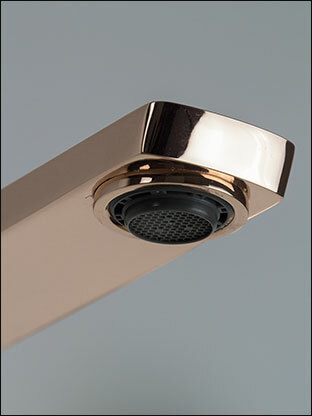 A tall single lever basin tap styled in the latest contemporary design and finished in rose gold plating, which has a pink tinge to the gold when compared to the standard yellow gold finish. 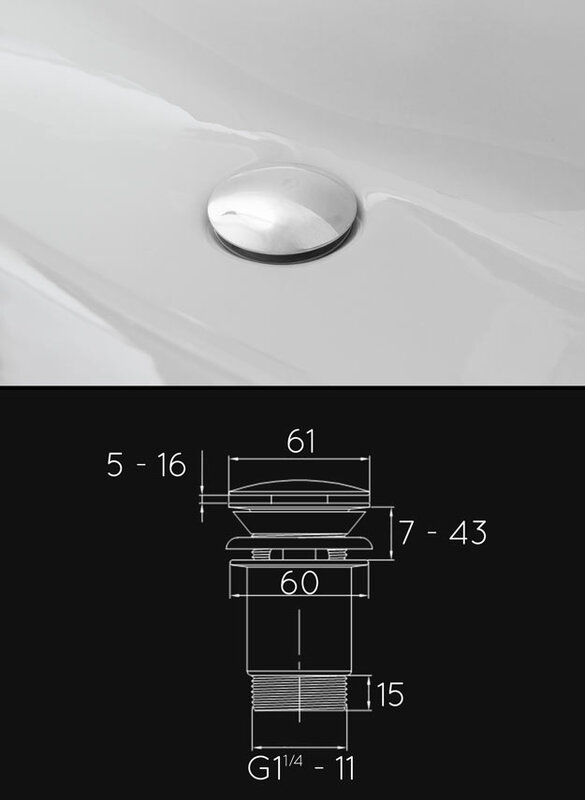 Each deck mounted mixer tap is taller when compared to standard basin taps which allows it to extend over deck mounted basins and wash bowls. 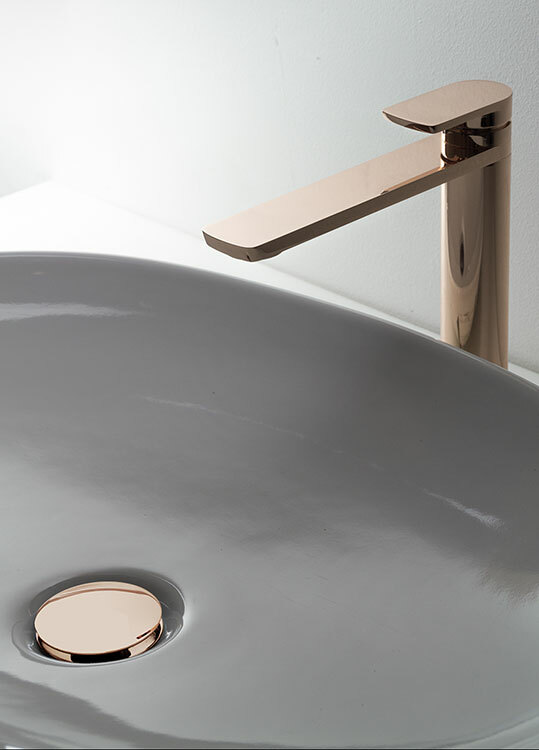 Exclusively styled in the UK and manufactured in Europe ensuring great quality and styling. 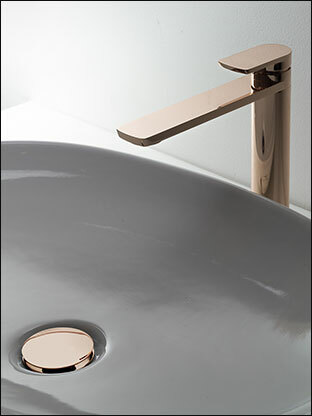 * Unique rose gold finish. 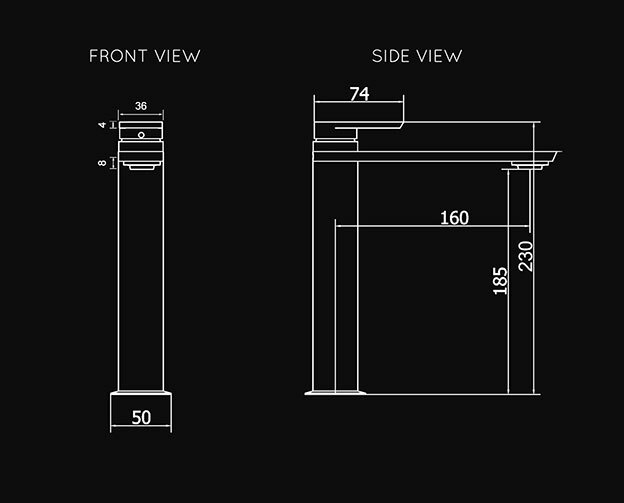 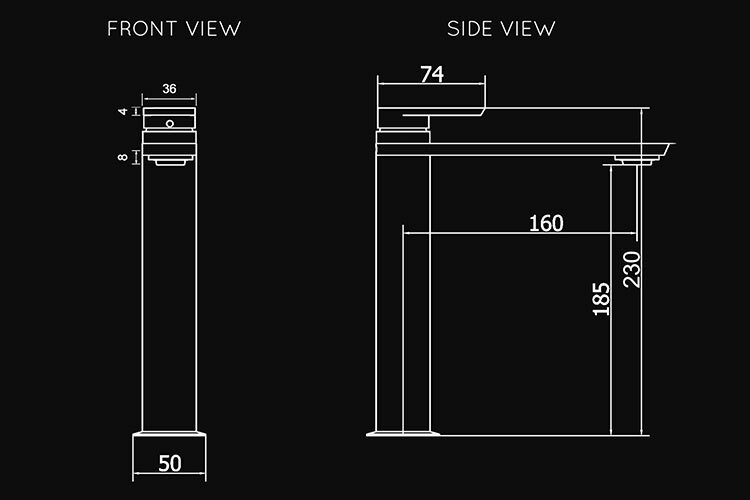 * Stylish extended tall monobloc tap.